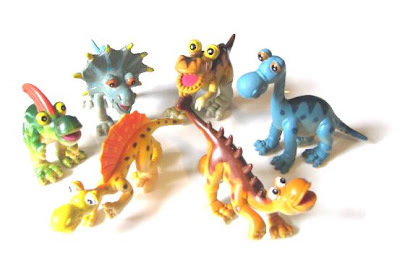 I've just taken delivery of some gorgeous rubber dinosaur figures. They are so cute that I had to get them on the site immediately! Similar in style to our already popular zoo animal figures, they come in 6 assorted species. Each has a character all of his own, and would make a fantastic party prize or party bag filler. Perfect for dinosaur themed parties and budding paleontologists everywhere!